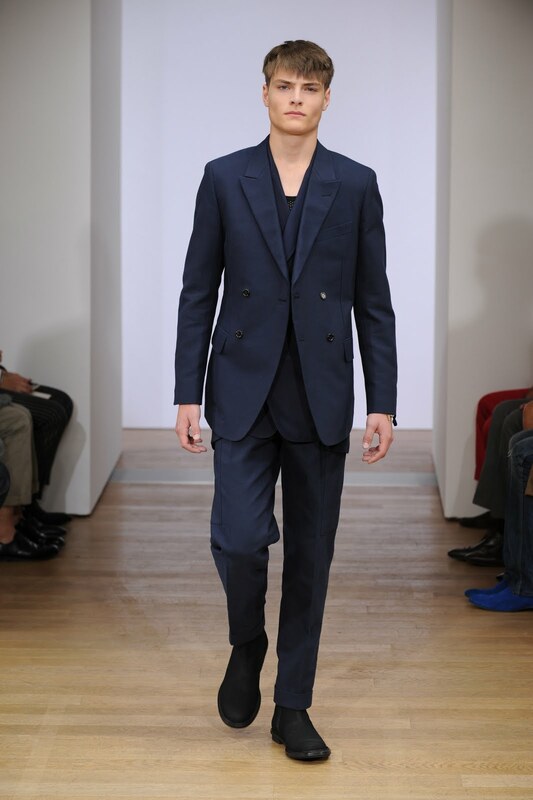 Stefano Pilati's spring/summer 2012 menswear collection for Yves Saint Laurent was inspired by North Africa. 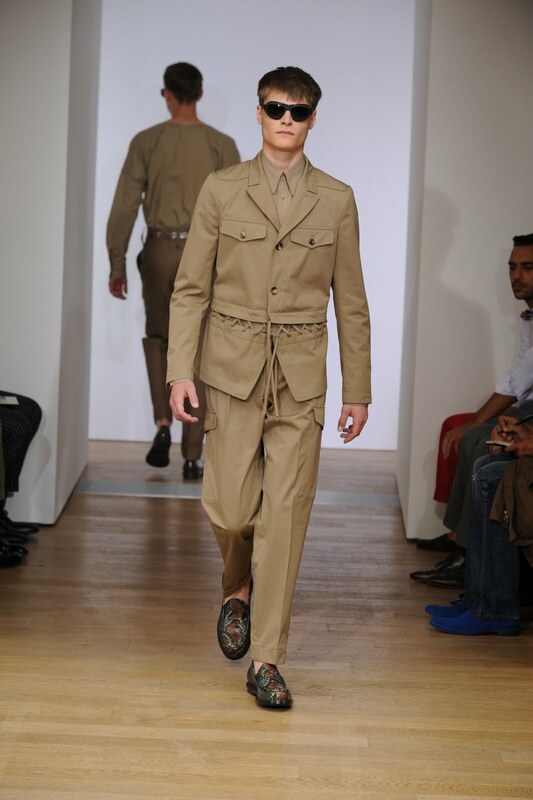 This was heavily reflected in the snakeskin belts and shoes and the khaki coloured looks that make you think of safari or the desert war. The overall look is very military which shows best in the navy suits and coats presented in the beginning. Excellent tailored jackets come double breasted and with strong shoulders combined with trousers that are baggy and end above the ankle. The cuts are very masculine and the smart details that are added to them prove once again that Stefano Pilati is a master in the arts of tailoring.